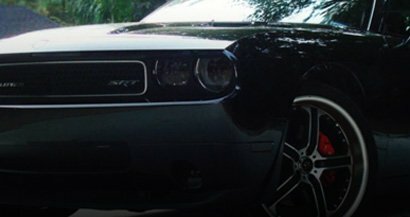 Precut reflective wheel trim strips are one of the best ways to add visibility and flashy style to your factory rims. As long as your rims have a lip on them of a half an inch wide and aren't beveled (rounded) then you too can get this one-of-kind look for less than you'd expect. Although there are several brands of precut wheel strips out there we also recommend that people buy recognized brands of reflective films such as 3M, Avery or ORACAL rather than from no-name companies who make sub-par products that may quickly fail, fade or discolor. 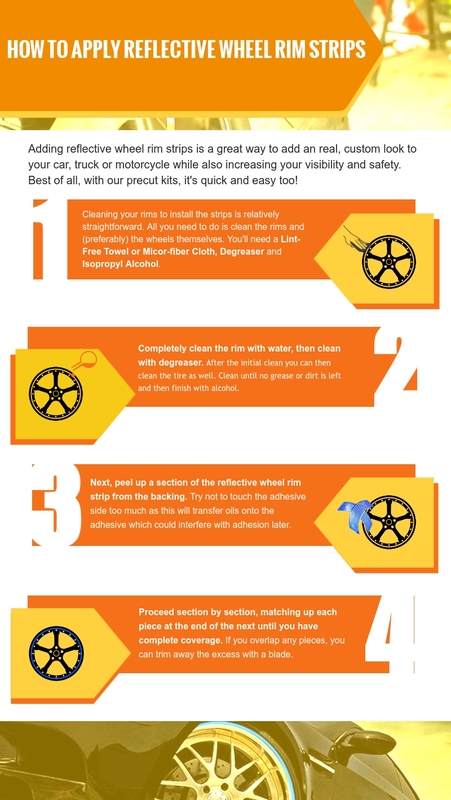 In today's guide, we'll go over the 4, quick steps needed to apply precut reflective wheel decals to your rims. With the degreaser clean the rims and tires themselves using your paper towels. Do this until no dirt can be seen. If applying to a motorcycle sure to be careful of the chain as the degreaser can lead to headaches down the line. Next, clean again until no dirt can be seen on the the paper towels. Spray on alcohol and remove with lint-free cloth. Once the rims are completely dry and clean you will want to begin application. The decal strips are meant to be applied in sections so decide where you will start and peel up a decal off the liner. Be careful not to touch the sticky side too much or your hand oils will ruin the glue. Apply with firm pressure. Once applied you can move on to the next piece. Repeat the steps above until each of the four pieces of reflective striping have been applied. Any overlapping pieces can be trimmed away with a razor blade.